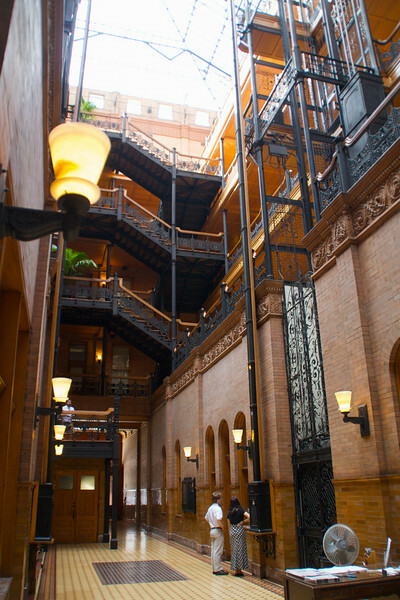 The Bradbury Building, in Los Angeles California, “was commissioned by Lewis Bradbury (after whom it is named), a mining millionaire who had become a real estate developer in the later part of his life. His plan (in 1892) was to have a five story building constructed at Third Street and Broadway in Los Angeles, close to the Bunker Hill neighborhood. Bradbury then hired George Wyman, one of Hunt’s draftsmen, to design the building. 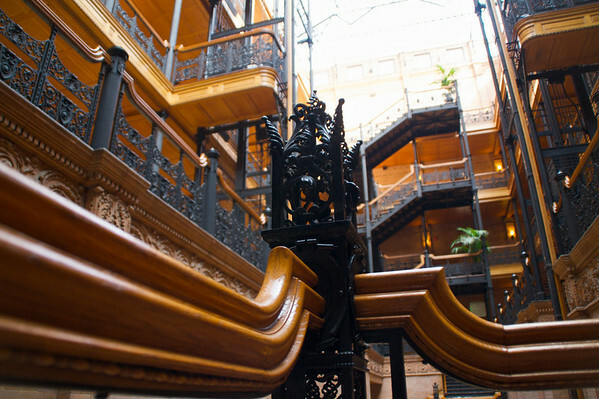 The building opened in 1893 and is most famous for being featured in “Blade Runner”, with Harrison Ford. Next Post Olvera St. on a warm October night in LA.